Did I mention that I'm super happy that my camera is back so I can go back to shooting again? 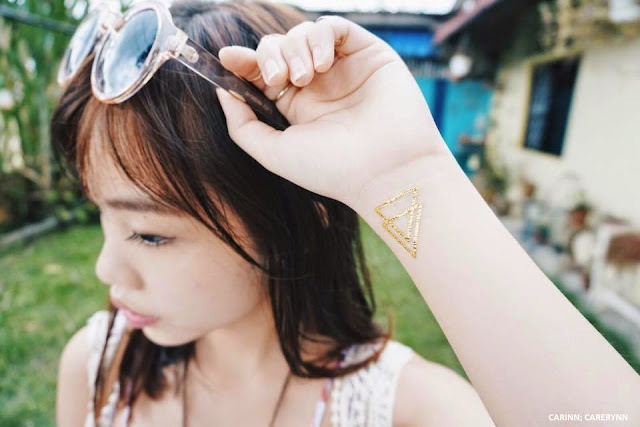 :D Anyway, just wanted to share with you guys my latest obsession - flash tattoos. Not only are they easy to use, they are the perfect accessory to add the right amount of style and sexiness to your outfit! Yep, it can make even regular T-shirt and jeans look good! I am no stranger to temp tattoos, simply because I love how festive it looks and how a little design on my skin can make my day. To apply the tattoos, simply cut out your desired piece, peel off the plastic layer and place the print face-down on your skin, wet the back of the paper and hold for about a minute. Peel off slowly and voila, you are inked! Well, at least temporarily. It's great for people like me who long to have a tattoo but does not have the guts to. The best part is, these babies last for 3-5 days (depending on level of care, mine lasted for a week the last time) and you can get crazy and tattoo any place you want, with no pain at all! I decided to go for a boho chic style for this look. I wouldn't say I nailed it, but I'm pretty pleased with the outcome. It might be slightly late, but I'm still kinda hung up on Coachella fashion and here is my inspired look. 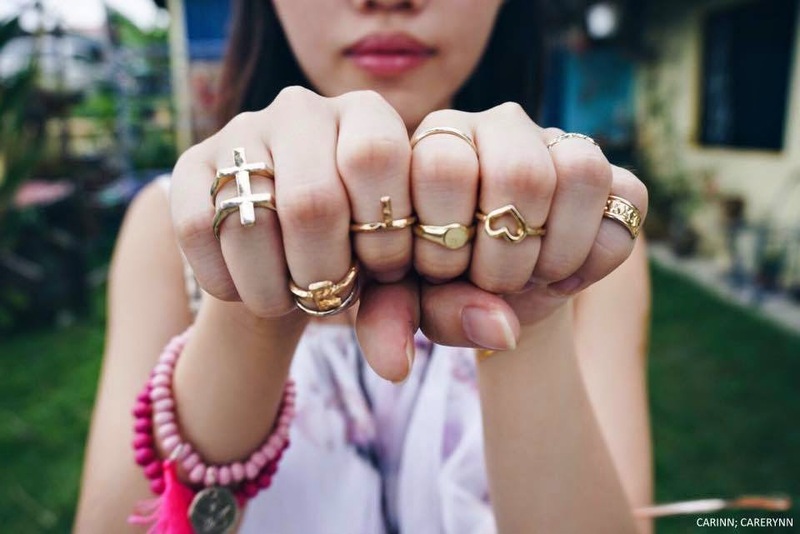 Spring/summer 2015 is all about the Bohemian vibe - loose flowy off-the-shoulder dresses, bell-bottom pants, paisley & aztec prints, bucket bags with tassles, ankle boots, oversized sunnies, layered necklaces, stacks of arm candy, lace & crochet galore - to name a few. And of course, not forgetting the essential gold flash tattoos to complete the look. I got mine from Shiny Happy People (@shappytats), courtesy of The Butterfly Project - Beauty Bloggers! These tattoos come in many colours (gold, silver, black) but I got a full sheet of gold tattoos with prints that are very inspired by the wishful dreamer. Be creative. 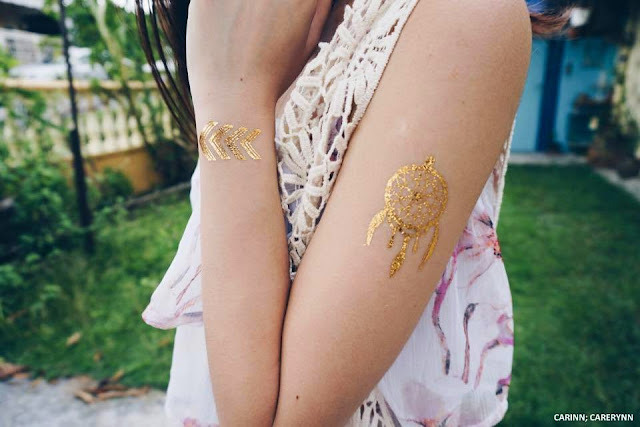 Go big, or go home with your flash tattoos. I'm so obsessed now, I'm thinking of getting more for my two beach holidays planned this year! 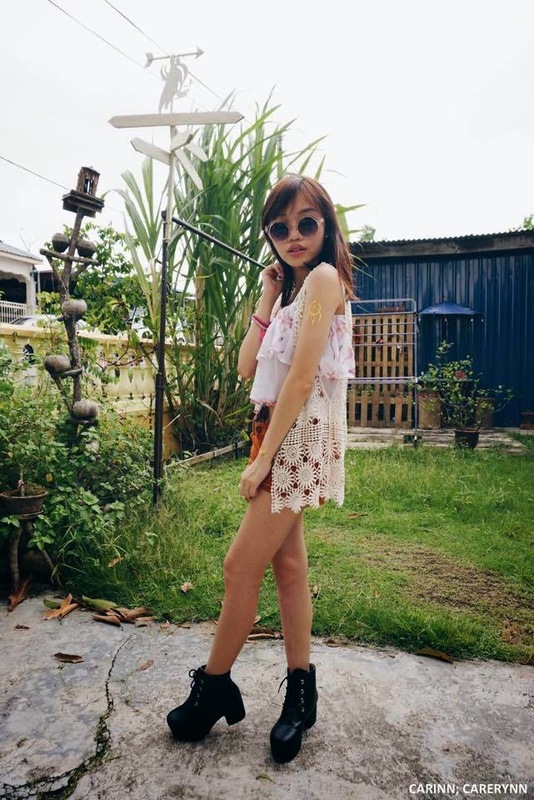 PS: Do HYPE my look on Lookbook if you like it! Disclaimer: Even though the product is sponsored, the review is based on my honest personal thoughts, experiences and preference after trying out the product.